I was trained in the sciences in a strictly academic orthodox manner. I hold a bachelor’s of science in zoology with a minor in chemistry and a master’s in biocultural anthropology, both degrees obtained at Oregon State University — as orthodox a science institution there ever was. I then taught physical anthropology at this same university for seven years. Paranormal phenomena, including UFOs and alien abductions, were anathema to me. I could not fit them into my naturalistic worldview. First, my academic background simply would not allow it psychologically. 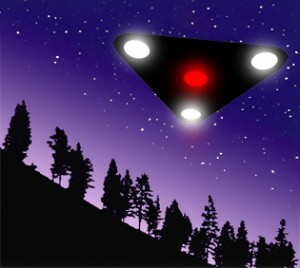 UFOs were hallucinations, mass hysteria or some other conveniently explainable occurrence. Alien abduction experiences were the result of childhood trauma, possibly physical and sexual abuse. Second, even if I wanted to explore the paranormal, I could not and dare not because of the restrictive intellectual atmosphere of collegiate academia. People lose their jobs for talking “crazy talk”!